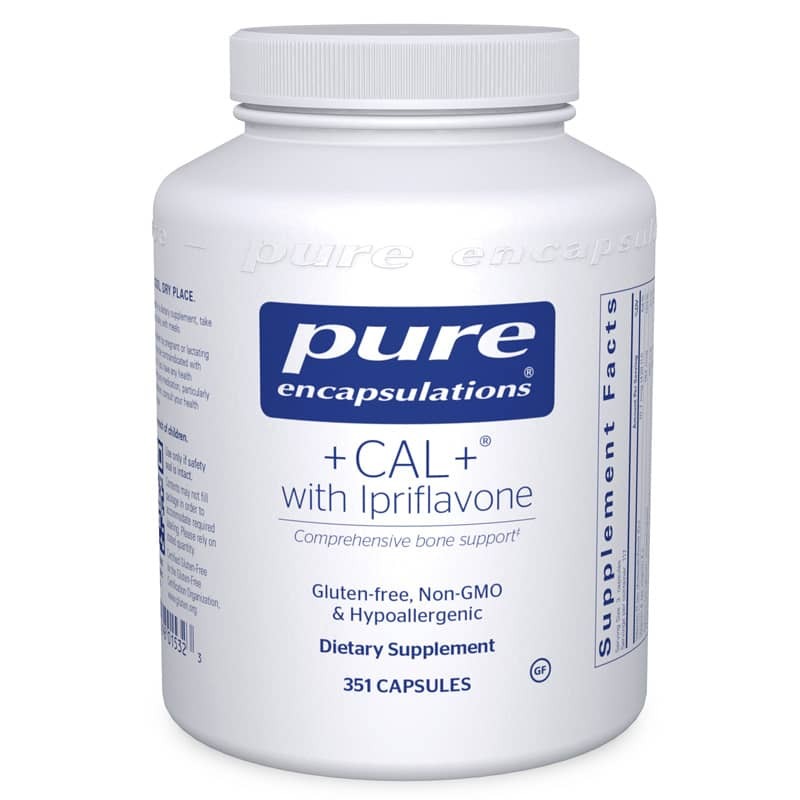 +CAL+ with Ipriflavone; combines the nutritional elements necessary to strengthen the skeletal system and resist the onset of osteoporosis. Adults: As a dietary supplement, take 3 capsules, 1 to 2 times daily, with meals. Not to be taken by pregnant or lactating women. Rarely, ipriflavone has been associated with epigastric pain, diarrhea, dizziness or lymphocytopenia. Individuals with heart or kidney problems or who experience water retention or swelling should avoid products containing horsetail extract. Consult your physician for more information. Keep out of the reach of children.